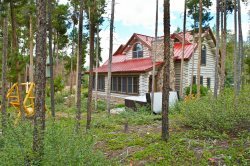 Wildernest is a community located west of Silverthorne offering guests privacy and breathtaking mountain views. With a variety of homes and condos available, these properties can accommodate up to 13 guests comfortably. Couple the spacious nature of these rentals with the variety of amenities and features each offers and you've got the ultimate home away from home! Start browsing our available properties below to get the ball rolling on your next trip to the Rocky Mountains!